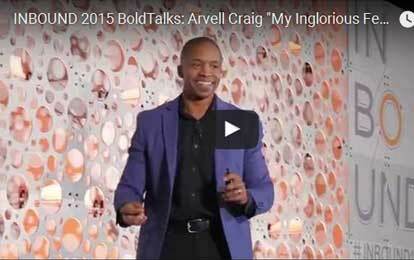 Arvell Craig has been a digital marketing entrepreneur since 2001. Since his college days of administrators and professors to the present time with small and medium size businesses… Arvell uses his gifts of writing, speaking, coaching and strategy to empower others to accelerate growth in their lives and businesses. Arvell Craig unofficially began his start in business at the age of 9, cutting fades and fro’s for neighbors and family members. This continued throughout high school and college but eventually, he laid down the clippers to take up slicing Photoshop files and building websites for businesses. Officially, Arvell has worked the past 14 years as a digital marketer and entrepreneur. He presently lives in Phoenix, AZ and works as a marketing consultant and coach. He’s also a husband, father, author, speaker, marathoner and closet poet.